The rotor we bought in the auction was supposed to be for a 2004 Kingpin, and the picture of the rotor in the auction matched our rotor exactly. However, when we received the rotor, neither one of us paid enough attention to notice that what we received did not match the picture in the auction and it wasn't the correct rotor for the bike. Because we had a couple weeks of no time to ride or even look at our bike ( ) it took a while to realize that we had the wrong rotor. Luckily, another Kingpin rider in the area had the rotor we needed and was kind enough to give it to us ( ) so we were able to replace the brakes and rotor and have a great ride over the weekend. The problem is now we have a mystery rotor and an unresponsive eBay seller who won't reply to our questions about returning the rotor we received for a refund. We have no idea if this rotor is for any Victory motorcycle, Kingpin or not, and if it is, what year. I am hoping that someone here will be able to identify this rotor so we can try to re-sell it on eBay with the proper specifications. Sorry if this is a dumb question! I would appreciate any help. The better thing may be to look for the casting number on the rotor itself. Most casting numbers are tied to the actual part number for most manufacturers. Simply punch that cast number into google and see what comes up. 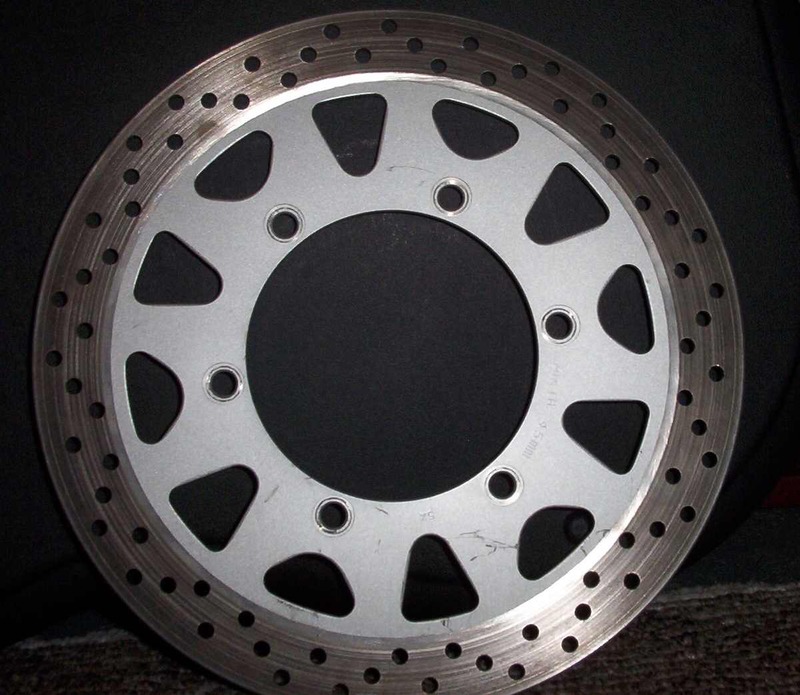 More than likely, you'll get a rotor part number with the application as a description. Do you think the MIN.TH. 4.5mm is the casting number? I'll look for it on Google and see what I find. No. That stands for Minimum Thickness. That's for how far down the shop can grid the rotor for it to remain safe. Haha...I found the minimum thickness thing in about 2 seconds on Google...it totally makes sense now! Unfortunately, there are no other numbers on the rotor other than 5K. The rotor was used but in good condition when we bought it, so maybe there was a casting number on it at one time but not anymore. It's time for you trade that bike in for a Hayabusa imo.